Accommodation in the Kingdom of Fife for only £49 per person, per night. 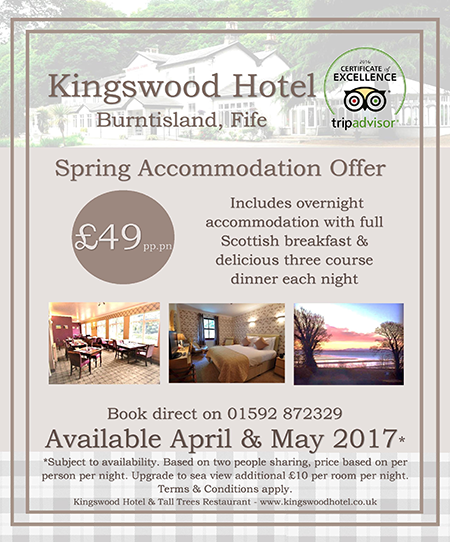 Price includes three course dinner, overnight accommodation and full Scottish Breakfast. Offer is available throughout April and May 2017 and is subject to availability. Price is based on two people sharing. You can upgrade to a sea view for an additional £10 per room. Terms and conditions apply. 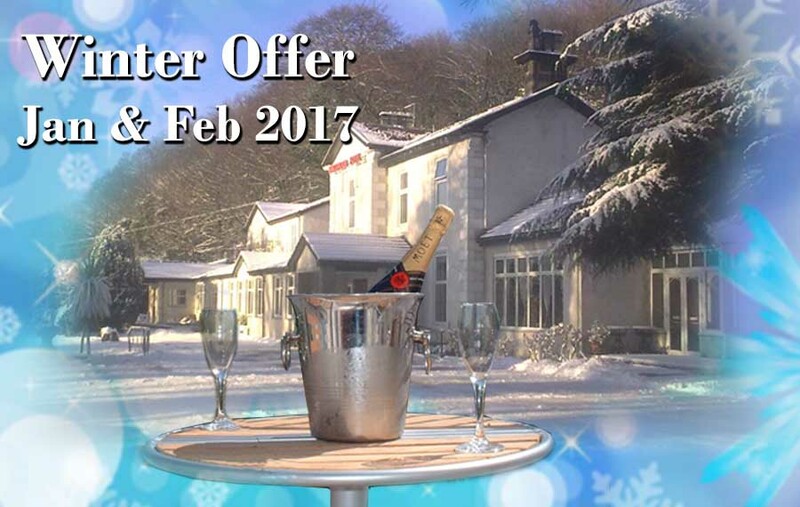 To take advantage of this offer you must book direct on Tel: 01592 872329. Kinghorn RNLI Lifeboat Fundraising Branch and the local Kingswood Hotel held their Christmas Shopping event, raising £4,150.00 for Kinghorn RNLI lifeboat. The Kingswood Hotel hosted the Christmas shopping event, with 22 stalls offering a wide variety of gifts including art, jewellery, handbags, beauty products and cosmetics, spirits, handmade gifts, demonstrations and a raffle. Local ukulele band Uke That performed during the evening, wowing the crowd with their performance. Canapés and drinks were served throughout the evening which was attended by nearly 180 people. Kinghorn lifeboat fundraising chairperson, Sheona Smith said, ‘The Kingswood Hotel has, as usual, hosted a spectacular event, and in doing so has raised £4,150 for the RNLI. Click here to read Kinghorn RNLI Full Report. Only £40 per person per night! Offer is based on two people sharing a double or twin bedded room for a minimum two night stay. You can upgrade to a sea view room for an additional £10 per night. Offer includes a delicious three course dinner and full Scottish breakfast. Offer is subject to availability so please book as soon as possible to avoid disappointment. Offer is only available throughout January and February 2017. To book this offer please telephone reception ++44 (0)1592 872329.